Randy Pierce is a captivating motivational speaker who draws upon his life experiences to inspire, entertain, and teach. Randy creates a powerful connection to his audience through unique viewpoints on the adventures and challenges of a man who chose a life filled with incredible adventure-laden experiences despite his being suddenly stricken with a neurological disease rendering him blind at age 22. Participants experience the highs, lows, and problem-solving techniques used to convert adversity into methods of achieving our peak potential. His realization that you truly don’t need to see in order to have a vision–or to bring that vision to reality–is the inspirational backdrop for a methodology as powerful as the motivation behind his message. Randy came to believe that most of our limits in life are self-imposed; that far too often, we accept and thereby empower the notion of “can’t.” It is an idea that–when framed with Randy’s compelling personal story–invariably resonates with people, giving them new energy to engage the possibilities that lie within their grasp. Emphasizing goal-setting, problem-solving, teamwork, and communication with amusing anecdotes and demonstrable achievements, he will motivate each participant to set and achieve their own goals. 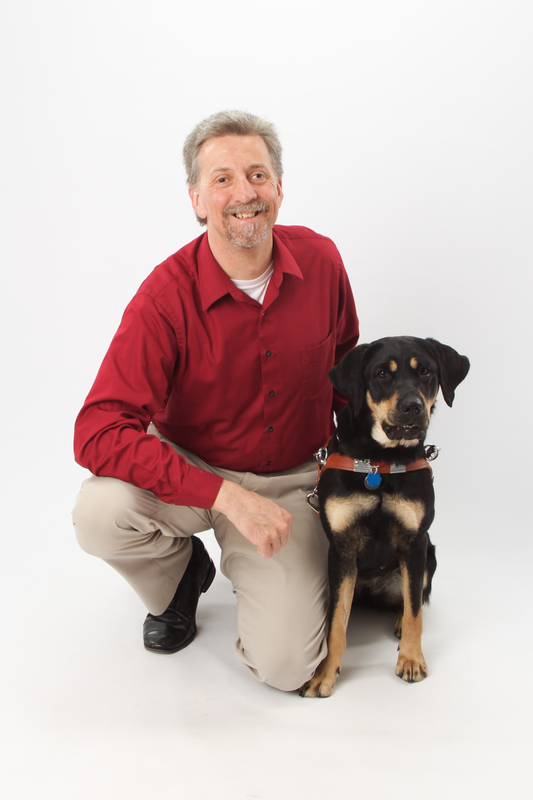 Watch Randy’s TEDx talk, “Vision Beyond Sight,” from the 2014 Amoskeag Millyard TEDx Event! 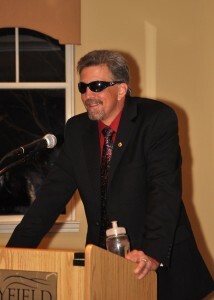 Booking a presentation is as easy as sending an email to Randy@2020visionquest.org or calling us at 603-546-8542. We customize all of our presentations to best fit your event. Randy and all of the staff of 2020 Vision Quest donate their time and efforts to the charity. As such, we require a modest honorarium for the presentation. Your choice to bring us in for a presentation provides you with a high-quality presentation while your honorarium supports a very worthy charity, effectively a win-win situation. We may also request travel expenses when distance warrants it. Typical presentations utilize an hour and can be adjusted as necessary for your event. An optional powerful A/V inclusion enhances the experience. We coordinate all bookings individually to ensure the utmost care in the connection of message and method for your event. Invite us to bring the benefit of decades of presentations to work for you. 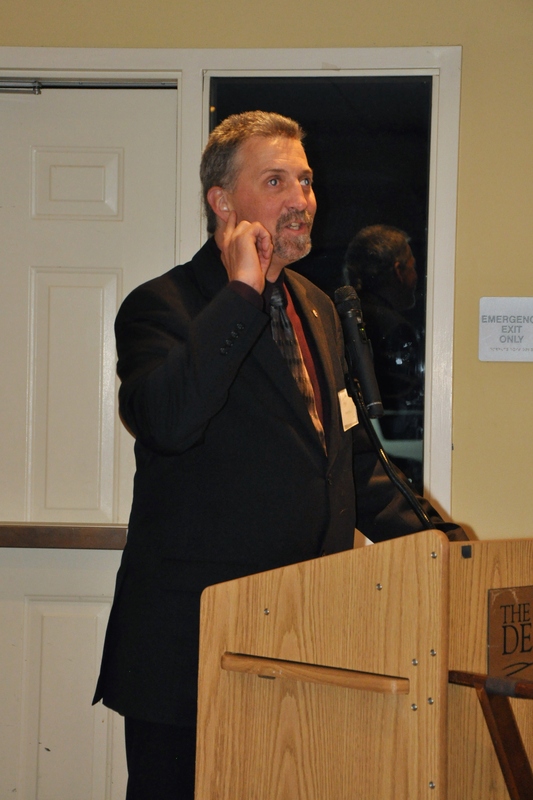 We’ve presented to Fortune 500 companies throughout New England as well as many regional conferences. Thousands of news articles join with hundreds of TV appearances and a handful of documentaries in showcasing the speaking talent and charisma prepared to guide your participants to new heights. We encourage you to look at a couple of web videos showcasing a little of Randy’s approach. Randy featured on NHPTV Windows to the Wild allows you to take a short hike on the trail and a greater journey with the man. In order to give you best access to materials supporting our presentation at your event, we include links to several files below. A strongly recommended, brief speaker-introduction script is offered for presenting Randy to your event audience from the podium. Listed next are two versions of a full-page bio of Randy–best for use in printed programs, or an advance invitation, in Word and PDF formats. (These bios are not recommended for use in verbally introducing Randy.) A sample presentation (Windows PC version or Apple Keynote version) and a photograph or two can also be downloaded and used at your convenience for our event. Additional materials may be provided upon request or during the development of your specific event details.